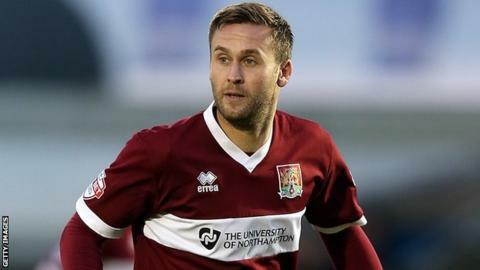 Northampton Town midfielder Joel Byrom has signed a new two-year deal with the League Two club. Byrom, 28, originally moved to Sixfields on loan from Preston North End in August 2014. In January this year he signed a contract keeping him with the Cobblers until the end of the current season. Byrom, who has also played for Accrington, Northwich, Stevenage and Oldham, has made 41 appearances this season, scoring three goals.